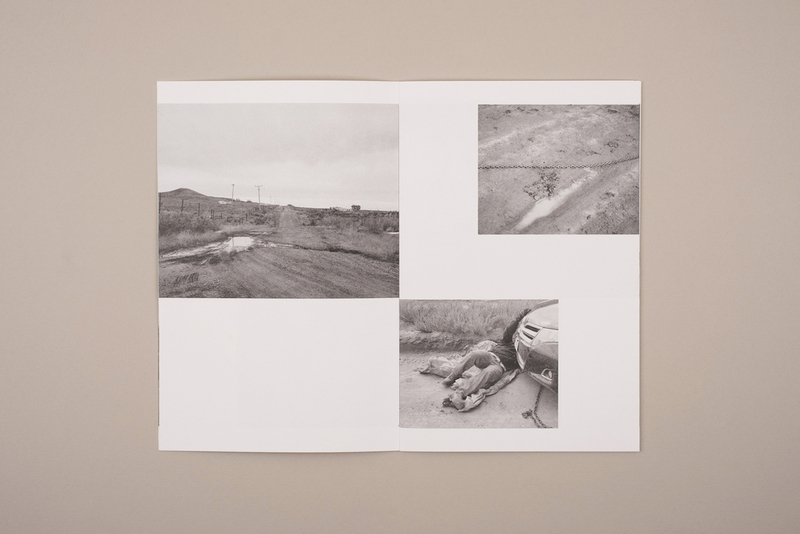 Space Cowboy by Jack Latham is a zine containing black and white photographs documenting hitchhiking in America. 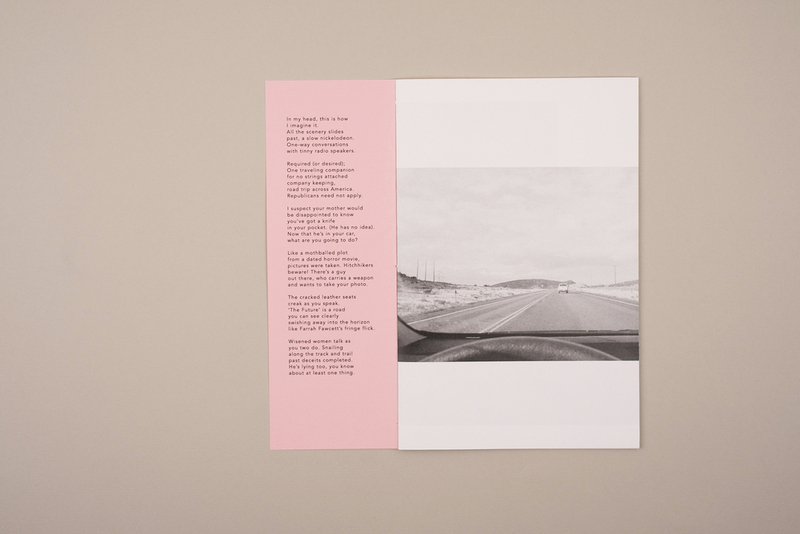 The zine contains a poem by Sofia Kathryn Smith and a hidden feedback form at the back from the imaginary Municipal Hitchhikers Transit Board. These books were done alongside the A Pink Flamingo project and were designed and hand bound by Stanley James Press.